Coffee, and the conversations that revolve around it form the theme of this charming play. 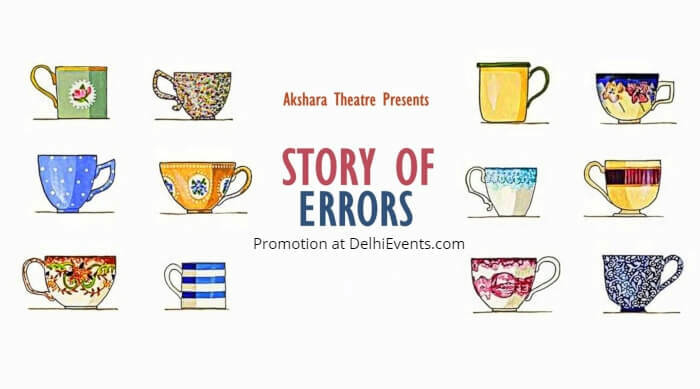 "Story of Errors" iwas originally created by Team Roobaroo under the name "Caféstorea, 3 Janak Rd." Set in the year 1959 but still contemporary, the play begins with the ever-enchanting voice of Ameen Sayani on Radio Ceylon’s Binaca Geet Mala. The play is presented in the form of snapshots. From breaking the ice to creating a perfect setting for love confessions, from nostalgia to addiction, from disappointments to smiles; coffee accompanies one and all.